NT - At KSA, the Duke is on! The program proved extremely successful at KSA with the Year 9 participants’ achieving their Bronze level award. The common thread for the students was to foster their skills in design and creating artwork for appreciation. 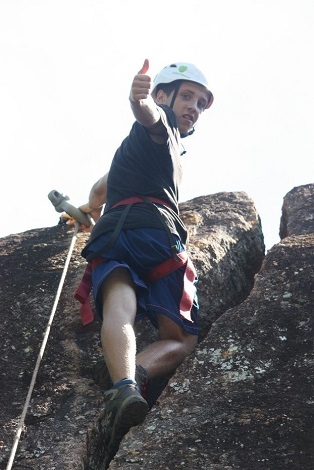 They also took on the physical challenges of outdoor education through rock climbing and abseiling. The school based Award Leader engaged the students in goal setting and decision-making, exploring their full potential through persistence and participation. The program consisted of fortnightly discussion and check-ins through IDL after school. Students were also a part of the planning, and actively negotiated around timetables for contact events such as residentials and excursions. For students in a distance learning context, this program is a versatile framework that can be applied to the learning needs of all students. It has taught our students how to meet challenges, overcome barriers and make well-informed choices.